Dream In Darkness: Last Few Days and a Circus? 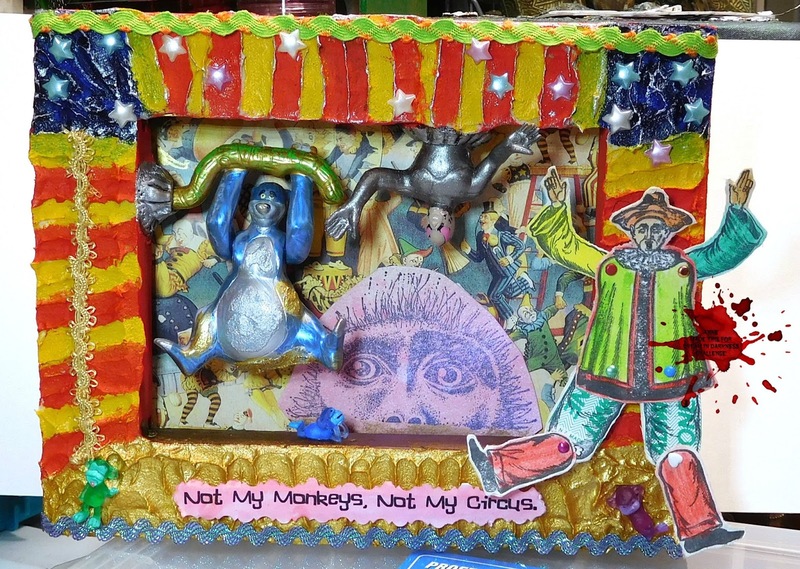 There's a meme regularly does the rounds... "Not My Monkeys, Not My Circus"
So... what sort of circus and monkey are we rejecting? Clowns can be scary, monkeys just sooo human that they're freaky... Time to break out an 8" x 10" box canvas, break up some toys, break open an ink pad or two, and break into some Graphics 45 circus papers. A layer of texture (modelling) paste round the edge for the circus tent, of course - a wisp of silver paint dry-brushed along the high parts. 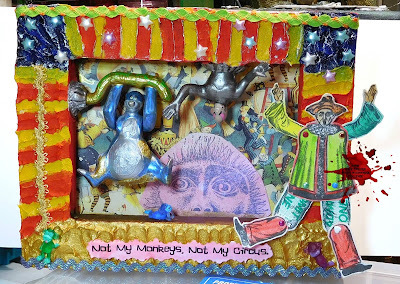 It was only after I'd finished with wet stuff - paint, glues etc - that I added the G45 paper to the background area, then Carmen Veranda's Monkey face. And a scary clown? 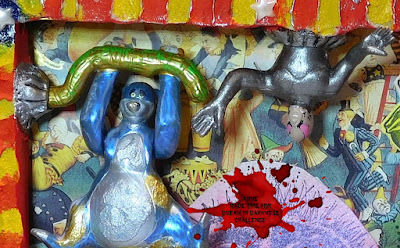 Lost Coast Designs have a Clown Puppet just begging to be played with. Though those thighs are admission tickets - admission to where???? Let's not go there. There are some wee monkeys that snuck out of the Silver Crow creations website onto the canvas in various postures. AWESOME !!! 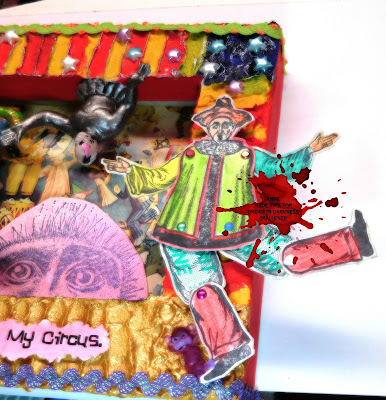 Such a wonderful creation but I definitely wouldn't want to go to THAT circus !!! !